Traditionally known for its legendary black market, Colombia is looking to make “made in Colombia” a respected brand in the growing family of countries with a legal medical cannabis program, bolstered by a supportive government. In recent years, Colombia has developed the most comprehensive and sophisticated medical cannabis framework in Latin America. 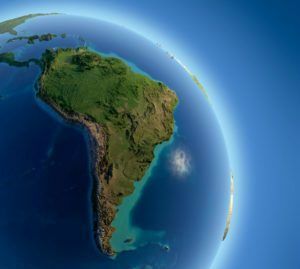 Colombia is still years behind Canada, but its notoriously lower production costs and ideal year-round climate for cannabis growing create a competitive advantage for investors and international marijuana companies. In addition, Colombian companies are seeking listings on major exchanges, increasing recognition as legitimate players in this space. Khiron Life Sciences, a Colombian cannabis producer began trading on the TSX Venture Exchange on Thursday under the symbol KHRN. The nation has two primary categories of licenses available – both under the medical and scientific umbrella – with different opportunities for each. There is no cap on the number of licenses the government can issue. Manufacture of cannabis derivatives: This license covers the manufacturing, acquisition, import, export, storage, transportation, marketing and distribution of cannabis derivatives. National use: For distribution only within Colombia, where one company estimates there are at least 5 million patients. As of April 9, 35 manufacture licenses had been granted, of which 33 included export. As of May 2, 80 cultivation licenses were granted: 43 for nonpsychoactive cannabis, 31 for psychoactive cannabis and six for seeds. The national framework is centered on the concept of “magistral preparations” to be prescribed by a doctor and sold to patients in pharmacies. This will allow patients to access medicinal cannabis products that didn’t go through clinical trials. The foundation of the legal framework are Law 1787 of 2016 and Decree 613 of 2017. Resolutions 577, 578 and 579 of the Ministry of Justice and Resolutions 2891 and 2892 of the Ministry of Health regulate procedures. The requirements to obtain a license vary, but most require identification of where the proposed activities will take place and who will serve as representatives for the company. In addition, technical documents for cultivation, manufacture, security, research and export plans could be required. The government has been processing applications in a timely manner, so applicants should expect a reply within a month, including up to two requests for clarification. Applicants should expect at least one inspection visit during the cultivation application process, in which regulators will verify that no illegal crops exist at the location. Manufacturers of cannabis derivatives may source flower from their own crops – if they have the appropriate cultivation licenses – or buy them from other legal cultivators. At least 10% of raw material must be sourced from small- or medium-sized growers – cultivators with up to 1.2 acres of area dedicated to growing cannabis. Two of the nation’s 32 departments – geopolitical divisions akin to states or provinces in other countries – are home to about 40% of the cultivation licenses: Antioquia, a department recognized for its high-quality coffee crops, and Cundinamarca, the region surrounding Bogotá, the capital of Colombia and known for its flower industry. 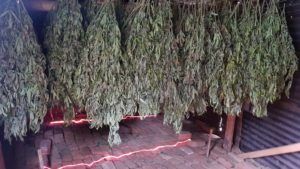 Illegal marijuana grow operations are well-established in Cauca, Colombia – and will provide a challenge for the legal industry. Only three companies have licenses to grow in Cauca, the traditional center of illegal crops in Colombia. But one of those licenses is for an association of 63 families, Andres Lopez, head of Colombia’s National Narcotics Fund, told Marijuana Business Daily. Officials hope that more of the existing illegal cultivators will apply to become small or medium-sized growers in the new legal industry. The government is conducting in information campaigns with the local population. “The purpose of regulation is not to eliminate illegal crops. As long as recreational use exists, illegal crops will keep sourcing it,” Lopez said. Because international trade around cannabis plant materials remains complex, the Colombian government has granted amnesty for genetics until the end of 2018. This means that all pre-existing genetics in the Colombian territory can be registered for cultivation through the end of the year, regardless of origin. After the deadline, licensees will need to buy their seeds or clones from another licensee or import them. As of May 2018, only six companies are licensed to sell seeds. For psychoactive cannabis extracts, producers also need to apply for a production quota to ensure the number of potential buyers justifies the production. There’s no maximum quota per company. The International Narcotics Control Board oversees national production quotas for medical cannabis. In 2018, Colombia received a production quota of 40.5 metric tons (44.6 tons) of dried flower for conversion into derivatives, 44% of total authorized world use. According to information accessed by MJBizDaily, 10 companies have received a quota for 2018 and are the first allowed to cultivate psychoactive cannabis. Several Canadian companies view Colombia as a possible source of cannabis, but how Health Canada will regulate imports is uncertain. In addition, the most important export destinations of psychoactive cannabis, such as Germany and Australia, have not announced if they will open their markets to Colombian products. But the Colombian Association of Cannabis Industry and the Colombian government, through Procolombia and other agencies, support the industry to find export opportunities. (Alfredo Pascual is a Germany-based public policy consultant who specializes in international cannabis markets and regulations. He currently works as an independent consultant to help companies seeking medical marijuana licenses in Colombia. Previously, he worked for ICC Labs – a licensed integrated cannabis company in Uruguay that produces cannabis for medical and recreational uses – with a primary focus on developing expansion opportunities internationally. Great article. I would be very interested in an article informing the reader about the actual products and companies that deal in hemp. I’m still ignorant as an investor regarding the market. Columbia grows excellent herb, their land races are wonderful and they can grow full day, seeded plants outside and in the earth. This will produce much better medicine than the seedless 45 day wonders that are so popular with the idle franchises. Great article Alfredo. As you know Astellae have been busy securing investment for these LP’s so we are seeing a great deal of business development on both sides. Its a win win for the Colombian people and government. It will be interesting to see how outdoor/greenhouse grown materials will fare in their testing as well as pest and mildew resistance factors as I would suspect, based upon the climate and a general lack of artificial environmental management productivity will be somewhat erratic. Additionally, shipment of raw flower would seem to be challenging based upon transshipment and recall/quality management protocols that for the moment are non-existent. If they are going to specialize in bulk oils (THC based), perhaps with testing and transshipment/management costs they may be competitive but in the end I am thinking export licenses in to countries with a focus on their own businesses and citizenry may make this concept more difficult to prove out. Certainly for the time being there will be no legal access to the US marketplace although we all know the illegal access had been going on for decades but now that the US has its own evolving supply chain in place, such illegal shipments fractional compared with historical performance.